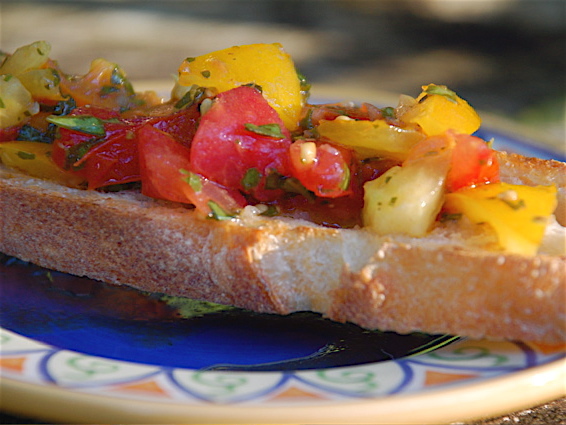 When tomatoes are ripe and plentiful, this makes a delicious appetizer or light meal with a salad of mixed greens. In a medium bowl, mix together the tomatoes, garlic, basil, and olive oil. Season to taste with salt and pepper. Slather on top of the grilled bread slices.